Dialling down the exposure serves two purposes. Under exposure can add atmosphere. It can also make it easier to capture an image in difficult light. [Click image to view large]. Auto-capture is not the only way. There are more ways to capture an image than to just push the shutter button in auto mode. Under exposure is the key. Learning about exposure and the exposure triangle is time well spent. Why you would learn them is something that beginners often do not realise. Well, you can gain two things. You can add a great deal of atmosphere to an image through under exposure. You can also get an image in difficult light. The image above was taken in quite difficult light. The studio was lit to capture the model. But I wanted to capture the scene including the lights. The bright contrasts from the lights and the sharpness of the lighting on the model made for awkward, contrasting conditions. Raising the ISO would of course make the shot possible. However, working with under exposure is more effective. It made the strong light sources appear less bright, leaving them as visible features of the image. At the same time they did not create out of place highlights. One way to even out the light in these conditions is to bring the contrasts down. Under exposure achieves that. My image gains a little atmosphere by virtue of its under exposure. Some images with difficult light sources gain a lot more. Dance floors, discos, parties and many other multiple light venues can benefit. That is especially true if the background light is bright. Bringing the apparent ambient light levels down by under exposure will even out the contrasts. It will also introduce the more atmospheric feel of a darker room. Exploring the wonderful world of the “exposure triangle”? One way to achieve under exposure is simple. First you balance your exposure using the full manual setting. Look through your viewfinder. Select your settings so the upright needle balances in the middle of the viewfinder. Then simply dial down the exposure setting. Use the time value or aperture setting to reduce the total light entering the camera. A good guide is to work with under exposure of one or two stops. That will bring bright lights down to manageable levels. Try it, especially in difficult light conditions. Set your camera to the setting of choice. Point the camera at your subject. The camera will make a judgement about the correct exposure balance. At this point you will find that a picture will probably over expose bright lights in the image. So this is where you implement the under exposure. Set your “exposure compensation dial” to create an under exposure of one or two stops. It really is as simple as that. You may have to check out what the exposure compensation dial is. However, it is worth the small effort involved. Your images will be affected by your creative decision. You will have truly made an image in your intended style. You will not have just taken a picture. Yes, like most things, if you have a play you will discover the richness of the tools you have. The camera is a wonderfully flexible tool. Under exposure, and indeed over exposure, are great fun. If you practice and play you will gain a lot. If you just forget the technique you will lose the benefit. So have a go and at least practice enough so you will remember it for the future. Artwork images – record or new art? Posted on May 30, 2015 by Damon (Editor) | Comments Off on Artwork images – record or new art? Artwork images are not as easy to photograph as they seem. Most photographers look at work by an artist they like and feel compelled to take a picture. Of course it serves to remind them of the art they saw. That is reasonable. The keen photographer thinks differently. They like to see the artwork. They also like to produce photographic art of their own. But more often than not the picture they take is actually a record shot. It is often said by judges in photographic competition that a sculpture photograph is a record shot. I have said it myself when judging. A pure record is not a piece of art by the photographer. Just exactly what do we mean by that? An example of a record shot is the photo at the top of this article. 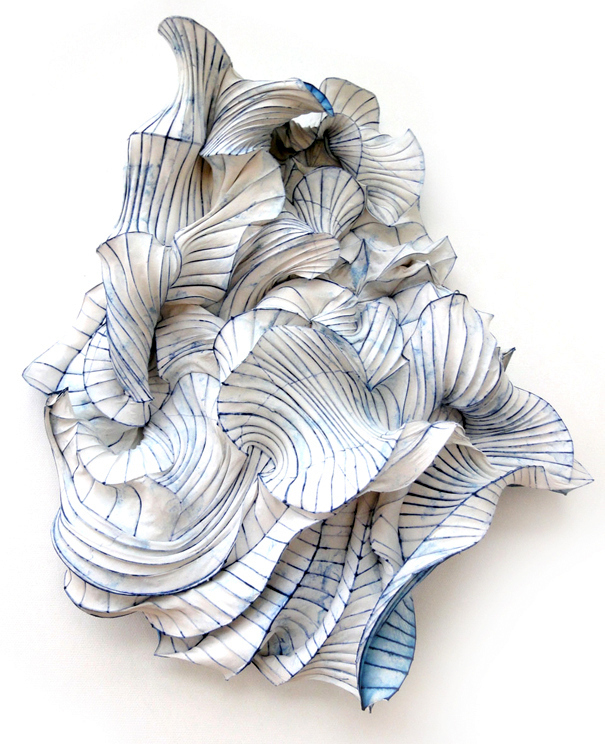 This work is by the wonderful paper artist Peter Gentenaar. His work is stimulating and interesting to the eye. Photos of his work bring out the splendour of his art. That is the point. They are less about the photographers interpretation of the art. Instead, they are about repeating the work in its fullness to show the work itself. It is a record. As such, it will show off the skill of the original artist. Record shots are a legitimate photographic form. But they are a record of the exhibit – not new photographic artwork in their own right. Reproduction of artworks in a record style is a proper photographic form. For remembrance, or sales purposes, it is fine. For those seeking to make their own art there is something more needed than simply snapping someone else’s work. That something extra is a new re-interpretation of the work. The photographer has to invest something of their own into the picture. They have to make more of the original artwork than is presented solely by the work itself. There are a number of ways to do this. A new interpretation may not be a complete image of the work. It may include the full work, or only be a part of it. The environment of the image, how it is presented, or its framing are all important. Overall there will be something in the new artwork images that the photog makes their own. How can you make new artwork images from an art piece? In this abstract of another piece by Peter Gentenaar the photographer has not shown the whole piece of work. They have taken a piece of the work that shows the wonderful lines and curves, but as a whole it creates a taste for seeing more. See: Peter Gentenaar–Paper Magician . • Abstract artwork images: One way to get something new out of a piece of art is to create an abstract of some sort. Abstract photos can be deeply satisfying to create and provide an interesting image for the viewer to consider. Most of the time abstracts are about making an image of a part of the artwork. An example is shown on the left. There can be a lot more to creating abstract photos than simply framing a bit of the total. The power of abstract is to create the essence of the total. Abstracts require an eye for what works when the whole is not seen. For more on abstracts see our Abstracts Resources Page. • Creating an new environment: The environment where sculptures are displayed is often important to the sculpture. Sometimes images are still record shots even if they are not on a simple white background. 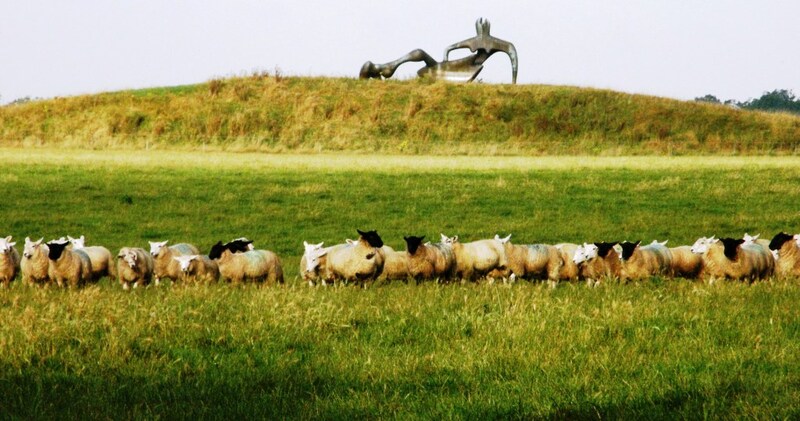 This link is an example of a Henry Moore sculpture record shot (Author unknown).. The author has displayed the sculpture just as it is with little enhancement. In fact it is almost devoid of its environment. The sky serves only as a backdrop. The same could be said of this picture of an elephant sculpture (below). The artist has created a superb piece which mimics the body of an elephant defying gravity. The first shot is a pure record shot. But, the second is a superb interpretation of the sculpture in it entirety with an audience, depersonalised by movement blur. Very clever. Both images are taken by the sculptor himself, Daniel Firman. A simple but excellent reinterpretation. Such re-inventions are in themselves artistic. As such they are creating artwork images in their own right. 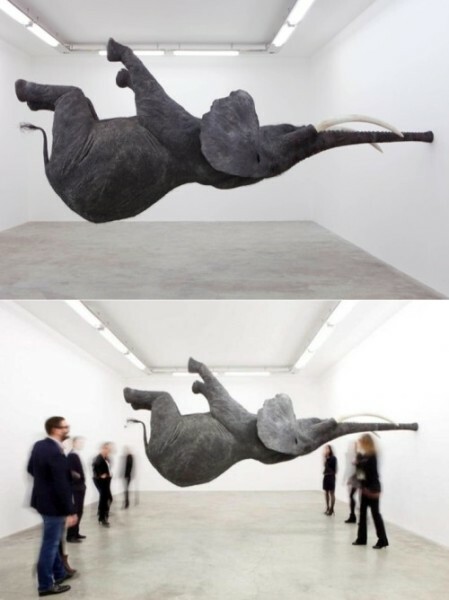 Gravity-Defying Elephant Sculpture by Daniel Firman. Published in: Gravity-Defying Elephant Sculpture. 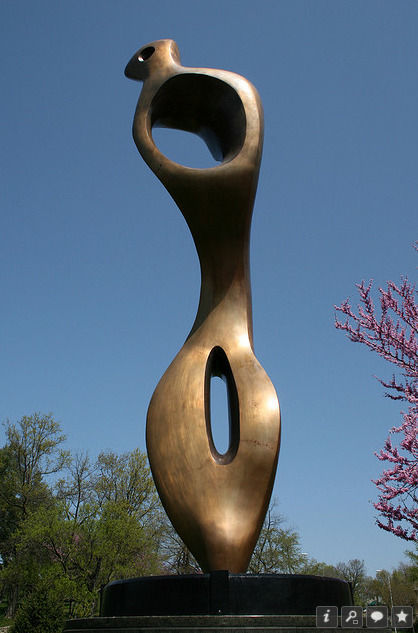 Another Henry Moore Sculpture is shown below. This image makes as much of the environment as the sculpture. The artist has created a great panoramic picture using a letter-box crop. The length of the principle subject (the sculpture) is complemented by the almost central position. But, it is highlighted by the mundane, but important line of sheep. The latter gives the eye an excellent weighted contrast to the sculpture in the background. Clever compositional devices like this often create great great artwork images. There is no way this is a record shot. The compositional devices in this image make it an interesting example of artwork images – definitely not a record shot. (Seen on: Backstrap Weaving . (Click the image to see full size). • Adding something: Another way to make something new of a piece of art is to put something new into, or onto, the piece. I leave the artwork images to your imagination here. I have often heard judges say about record shots, of say a sculpture, “this needs your hat on it”. Alternatively they might say something like, “a cat just here would make the image something different”. What the judge is saying is, the author has created a shot that does not have anything from the photographer in the image. Whereas, with a little thought, or a little prop, or even a person – the picture could be transformed. Instead of the simple (and boring) representation, the author could have added that little extra that makes the image into a reinterpretation – something different. It would be something created uniquely by the photographer. The uniqueness of a photograph is something that makes photography interesting. But, make the main subject a simple representation of somebody else’s work, then the uniqueness is lost. A simple record is created. But with simple compositional thoughts, re-frameing, or the addition of some new aspect, you create a new synthesis. One that is unique to you. One that is a real contribution to the body of artwork images. That is what makes photography so special. The main point to take from this is simple. Think, plan and consider the composition when taking pictures of other peoples art. A subtle treatment of the art piece can transform it into an image only you could make. Henry Moore sculpture record shot (Author unknown). Comments Off on Artwork images – record or new art? Here is a quick and simple way to create a great backdrop. You can produce your own great designs with a little creativity. Image from the video below. Great backdrops often make a picture. The simple ones are the best. They do not pull the viewers eye from the subject of the shot. Instead they focus your viewer on your subject. A backdrop should create an environment for the shot that both completes the scene and brings out the best in the subject. There are a million creative things you can do with your pictures. Making backdrops can be equally as creative. In addition they add a new spin and level of creativity to your shots. You can make backdrops out of wood, canvas, sheets, paper, metal… well millions of things. Be careful they are not too heavy. If they fall and hit someone they might be injured. Don’t make backdrops too flimsy. They might fall apart during the shoot. Apart from that the sky is the limit! Here are some ideas I have seen used to good effect. Autumnal leaves densely stuck to an old sheet. Spaghetti stuck to an old sheet. Chinese lettering enlarged in a copier and stuck on white wall paper liner. Hundreds of pieces of string hanging down. Dozens of electric lights hanging down. Hundreds of Wooden scraps nailed to five planks in a random fashion. White back drop paper with lightly pencilled circles drawn all over it. A white sheet “tie and dyed” with various patterns. I am sure you can think of many more creative ways to enhance your shoot with DIY backdrops. Just take a little time to think over what you need for your shoot. Here is a Google search for “Creative backdrops images“. Plenty of ideas there to stimulate your thinking! Do not make the backdrop stronger or brighter than the subject. Choose colours that bring out the colours in your subject. Use colours and designs that almost fade into obscurity allowing the subject to blossom. Allow your backdrops to complement the subject – not clash with it. Use texture, tonality and hue to vary the background so it appears to be slightly 3D. Be careful that patterns do not emerge unless they are deliberate. These are not rules. They are guidelines to get you started. Of course as your skill as a photographer and backdrop-maker develop you can make or break these principles. Have fun. Make great shots! In the video below there is a quick and simple method of setting up a canvas backdrop. It can be done in a few hours. If you don’t have much space you can make it out of doors. Enjoy this video short and let it help your mind be creative. Buying lenses is not as straight forward as it seems. There is a lot to consider. The key to buying lenses is knowing what you want to achieve with your purchase. It is also important to have a clear idea of your budget. However, there are a whole range of other things that have an impact too. There are a wide range of photographic lenses to buy for most cameras. Each has their own characteristics. A lens can easily cost more than your camera. Take care with your choice. The wrong decision can leave you with a lens that is not suitable to your interest. First of all sit down and write down all the reasons you want a lens. Also, write down all the possible things against buying lenses (of any sort) at this time. Try to convince yourself you really don’t need to buy. In most cases of purchase-fever the buyer gets things they don’t want. So, when spending lots of money you should be careful. Buying lenses is a big investment. If you make the right choice then your purchase may last you through a number of camera bodies. So think carefully and make the right decision up front. That way your money will not be wasted. I have purchased about thirty lenses over the years. Of those, five were bad purchases. Four were impulse buys – not suited to my needs. In another case, a hasty decision meant I bought a poor quality lens. From this experience I have compiled the list below to help you when buying lenses in future. b. Smaller Focal lengths provide wider angles of view. c. Longer focal lengths show less of the scene and tend to magnify the view. d. Distortion may be found at the extremes of focal length. a. Measured in f stops (eg.f2.8 [wide open] f5.6 [medium], f16 [small aperture]). b. Wide aperture lets in most light – faster shutter speeds possible (eg. F2.8). c. Small aperture lets in less light – requires longer shutter opening (eg. F22). d. Wide aperture provides short depth of field. e. Smaller apertures gives sharpness throughout the depth of the picture. f. Zooms – Aperture size gets smaller with increase in focal length. a. Slow shutter speeds mean more chance of camera movement, which makes blur. b. Stabilised lenses typically give one or two f stops smaller aperture without more blur; the stabilisation compensates for movement. c. Cost is higher if the lens is stabilised. e. Stabilisation may be in the camera rather than the lens. a. Glass optical quality varies with the production process and ingredients. b. More lens elements/groups reduces light able to pass through the lens. c. High quality optical glass does not reduce light as much as cheap glass. d. Each manufacturer has a specific type of glass for higher quality lenses. e. Optical aberrations come from low quality optical glass. f. Lens optical coatings reduce aberrations and flare. g. Distortions are caused by specific groupings of lenses. a. Used to drive the aperture control; stabilisation and auto-focus. b. Sometimes noisy – not desirable for wildlife shots. c. Adds a lot of weight to the lens. d. Not necessary on manual-focus prime lenses. e. Some cameras have them only for auto-focus. f. Older lens models have slower, sometimes heavier, often noisier motors. a. Often forgotten attribute. If you can’t carry it, then it’s no good for you! b. Weight often increases with wider apertures – fast lenses may be too heavy for you. c. Weight will tend to increase the amount of hand-shake movement. d. Stabilisation motors put a lot of weight on the lens too. a. Lens focal lengths are usually stated for full-frame cameras (quoted for 35mm sensors). b. A cropped sensor will still have the same focal length lenses as a full-frame, but image size will multiply it by the crop factor. (See: crop factor). c. Cropped sensors increase the lenses’ magnification. Eg. Canon APS-C lenses are optimised for the Canon cropped sensor. The crop factor is 1.6. So a 100mm lens on a Canon 450D is actually equivalent to a 160mm focal length on a canon full frame camera like the 5D. d. Different crop factors apply to different manufacturers and cameras. e. Some optimised lenses will not fit different sensor sized cameras – APS-C – check the fit and crop size in the specification for the lens. a. Zoom lenses give you a variable focal length; you control magnification. b. Prime lenses have fixed focal length. Move nearer/further to change the angle of view. c. Zooms give you focal control over the framed view. d. Primes tend to be higher quality lenses, sharper, faster (wider apertures). e. Primes more compositionally challenging. f. Primes – colours and exposure control more realistic. Introduces central focus with peripheral distortion. Highly creative focus provides extreme visual views drawing the eye to the centre. Used primarily for highlighting specific subjects or attributes of the scene. Ideal (according to some) for full-frame sensor work for portraits. Sometimes dubious quality in some parts of the zoom. Flexible for many purposes, but especially wildlife photography at longer focal lengths. Ideal for getting ‘into’ the shot. Creativity related to the placement of the subject in the frame; angle of view variable. Extreme zooms (350 – 800mm zoom ranges)(Very long range lenses greater than 800mm available). Extreme expense – (expect cost around £5,000 for the 800mm sort of focal length). Excellent for specialist wildlife and long range work. Angle of view very limited at extreme end. Very heavy – absolutely requires tripod for longest ranges. Really only supportable for specialist work (professional wildlife photographer). Cheaper to hire for the odd trip. Macro (from around 35mm to 200 mm) (sometimes achieved using extension tubes). Used to get close-up shots of very small subjects. Focal length is artificially extended to magnify for close-up work – aim to get 1:1 or larger result. Can be used for longer views; tends to be at restricted apertures for non-macro work. converging parallels (lines in the road or converging verticals in buildings). Used for getting wide views of the subject; sweeping view across a scene. Some optical distortion at the very wide end accentuates central subjects. Tend to be used by landscapers; often capable of very small apertures (f22 – f36). Standard zoom lenses (35mm to 200mm of varying focal lengths). Provide great flexibility because can change from wide angle to magnification. Quality often highly price dependent. Optical quality variable with change in focal length. Very long focal lengths often have high f-stops (eg. F5.6). Sees approximately what the human eye sees (full-frame sensor cameras). Slightly wide angle for cropped sensors. Usually good low light performance because of aperture size is usually wide. Approx.. 80mm for cropped sensors – good for portraits. Creativity allows for the same flexibility that the eye sees. Controlled angle of view is determined by photographers position (no zoom control). When you are buying lenses consider what you are going to get. If you buy a cheap lens you will get a poor picture. Most modern camera bodies are going to produce pretty good pictures. But if you stick a poor quality, budget lens on a camera it will give you a poor result. A top quality lens will serve you for many years. It will swap between bodies of the same manufacturer. It will produce quality pictures from your body. On the other hand a poor quality cheap lens will degrade the ability of the camera body. Which will devalue your overall investment. It is pointless upgrading a body to a higher specifications if your lenses are not up to the same performance standard. Buying lenses is about setting your aspirations. Buying lenses of poor quality is about limiting your potential, for now and for years to come. The sheer number of lenses available is daunting. Try starting with a lens finder. This great Lens finder on Amazon.co.uk makes buying easier. Please report problems with these links. Buying lenses? Try the lens Finder. USA users: use the text link in the paragraph above. If you are buying lenses enter the important factors for your lens choice. It returns a list of the lenses to suit that purpose. 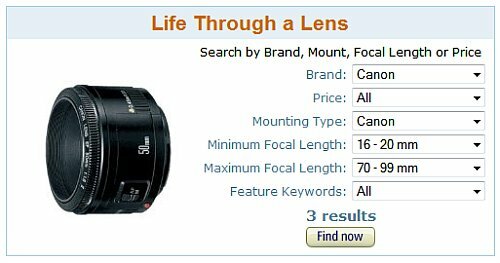 I find this an invaluable tool for helping to me to find a range of lenses from which to make my ideal purchase. Like this article about Buying Lenses? Don’t miss the next article — sign up for tips by email. Also on buying lenses: Finding lenses and buying to suit your needs. Ansel Adams – a gentle soul – also the greatest landscaper of all? He is one of my favourite photographers. He is probably one of the best known image-makers in the world. Widely known among both photogs, and the man in the street, he was probably photography’s greatest ambassador. Yet, apart from the images, many people know surprisingly little of him. His gentle soul, made him ideally dedicated to nature photography. However, he was also a great portrait artist. His many achievements included a full portfolio of industrial photography too. As an accomplished musician he also performed great works of music. His many photographic works were backed up by a sensitive, but powerful commitment to environmental campaigning. His dedication to the American National Parks lead to a range of incredible images. It also lead to the creation of several new National Parks. One was even named in his honour. Find out more about how this gentle soul affected the National Parks… Read this article on the Parks’ service website about him . Adams was one of the worlds best known photographers. As such, he had much to teach us. Not only did he invent the “Zone System” but he was also a pioneer in the development of many landscape imaging techniques and ideas. What is astonishing is his tenacity. Despite his primitive equipment, his works surpass some of today’s top images. He used an original large format camera with plates. He would sometimes take several hours to make a small number of photos. The equipment was large, cumbersome and tripod-mounted. He made meticulous light readings, calculations and records of every shot. With these he was able to do precise developing according to the Zone System. The chemical processing took hours of work back in the dark room. To do all this he had a large amount of heavy duty equipment. By today’s standards it is also a miracle that he managed to get his shots. Yet, his work still provides a corpus of extraordinary work. A portfolio that still leads the world today. There are some things we can learn from Adams. Using a tripod and setting up his heavy equipment was a slow job. His work was almost always the result of a long process. Careful thought, consideration and assessment of the landscape formed his pre-image visualisation. Nothing Adams did was about rapidly snapping shots. And, don’t his images show it? Lesson one is: Take things slowly. Our gentle soul teaches a great lesson about taking time. To do things properly and ensure you get the right results you need a procedure. It needs to cover all the bases. It needs to be precise. It should be done with time, care and attention. Adams, the gentle soul of landscaping, was the consummate observer. All photographers should be observant of light. It is the basic material of our passion. Observation of aesthetics is another pillar of our trade. However, he went well beyond these ideals in his quest for precise detail. His use of the Zone system gave him accuracy. His eye for tonal quality in an image came together through the precision he adopted. The quality of his prints are legendary as a result. There are three important things in photography: Quality, content and aesthetics. If you tie these together then you can gain an huge lead on others. Adams had all three. He made time to ensure that he did it right. He looked for the most eye-catching locations. He looked for great light and contrasts to bring out the best in his scene. Many videos have been made about Ansel Adams. In all of them I have notices his considered approach to photography, his precise control of his work and his wide knowledge of art and nature. I have called him a gentle soul because that is how he comes over to me. It is certainly displayed in his work. But he is also a complex character. In this video, dating back to 1958, some of the complexities of his character come out. They complement his approach to life and the problems of photography at the time he was doing his work. When you watch this video think of the lessons to be learned from Adams. If you are interested in landscape photography, also consider cultivating the ‘gentle soul’ approach. But be rigorous in applying it. Only the most precise work will get you the top quality images. The pressure is on to get the images right! Photography horror will get you if you let it. “Photography horror” is not necessarily bad news. If you are truly horrified over your work, you have been given a unique gift. Learning to recognise the issues is important. It is a sign. It points at future goals. Your photography horror is a way to see a problem you can fix. Great. You have seen your mistake. Now you will try to avoid it next time. Or, you have seen there is a mistake. You are not really sure of the problem. However, further analysis will help you improve your shots. Both of these are really good news. Of course you are disappointed. But think about it. You either know the problem, or have a subject for research. Once you have found the problem then you can fix it. Making images is like any other pursuit. You only get better if you put in time to improve. If you can quickly spot the mistake, kick yourself and move on. If you don’t, start to look for ways to resolve it. You might need to do some reading. Look at similar images and ask, “why are they better”? Try discussing with a friend. Consult with an artist. Join a photography club. Read a book… All of these options help you understand this photography horror. What’s the most important thing? It’s that pit-of-the-stomach feeling you felt. This is your senses telling you that you can do better. Learn to recognise it. Your “photography horror” is a new found friend. Use it to improve. Photography horror 2: All my work is terrible! Wow – big statement! But, we have all been there. This photography horror just flattens our ego. It might apply to all the shots in a shoot. It could be a whole day of negative shots. Worse still, it might reflect weeks of bad outcomes. You feel like you are in trouble. And, photography horror seems to ooze out of everything you do. What is going on? Why is this feeling so crushing? Again, this is your inner sense of “photography horror” helping you out. However, this one has the scope to stop you dead. You cannot see a way out of it. You are trapped. It is the ultimate photographers block. Recognising it is easy. You just don’t want to pick up your camera. You want to walk away from making images and forget the whole thing. OK, do it! Yes, take a break from your image making. But, the way out of this particular photography horror is planning. Plan to take the break for a specific time. Set goals for start-date and start-activity. Work out specific things to try and get right for your return date. Then, forget the whole thing. Just sit back and take a deserved rest. You have reached a fill-up point. Your ideas, creative juices, skills and knowledge have simply saturated you. The result is a jumble of ideas, concepts and knowledge. You need time to sort this lot out. This feeling of photography horror is all about being over-whelmed. Given time, and a little subconscious thinking you will begin to put it all together. Plan for a week off. Or, maybe take two. But don’t take more than a month. You risk losing it all if you take too long. While you are on your break the feeling of impending doom will lessen. Instead, you will find yourself thinking of the things you can do when you get back to your goals. Take the time. Relax. Then, when the planned date is here – get back to your task with new enthusiasm. Photography horror 3: These images are terrible! The chips are down. You have to produce something. A family party perhaps? Or maybe you are doing a wedding for the first time. Whatever, the pressure is on. You open the images in the editor and… Oh no! Doomed! This photography horror strikes us all at some time. It seems like what you have done is the worst ever. It is about fear. The unknown, coupled with pressure, gets to you. When we have to do things for other people it piles on the pressure. This is a familiar worry for wedding photographers. It’s a worry for most professional photographers at some time in their career. Amateur photogs are equally likely to suffer. It all hinges on the need for good results. When taking pictures for yourself you don’t have that pressure. When the pressure is on, worrying about it gnaws at your soul. By the time you get to the editing screen you are nearly screaming with anticipation. With that tension almost anything appears disappointing. You will hate your work. And, you will feel devastated. The problem is gaining perspective. With this photography horror your expectations exceed the possible. It is time to be realistic. Start processing straight away. When you begin to do something practical things get easier. You will quickly see that you can actually use the images. Work with them. Process them. Do the things you know are possible. Use all your processing skills, work with the images. Express yourself. Before long you’ll see this photography horror is about focus. Editing out the bad. Selecting the good. Working with the images to bring out the best in them. More often than not, photography horror is about personal confidence. Doing practical things to move forward helps build that confidence. It gets you past the terror, the nerves and mixed up feelings. Always have a plan for improvement. Make sure you have enough free time to break the bonds of your commitment. Give yourself time to think. You will find that your feelings of “photography horror” are really useful. They tell you when things are not right. They guide you to make improvements and move forward. They are the way to become a great photographer. Creative block – how to overcome seven types. Five tips for boosting your photographic creativity. Mistakes beginners make and how to overcome them. A happy new year 2015 to you and all our readers! 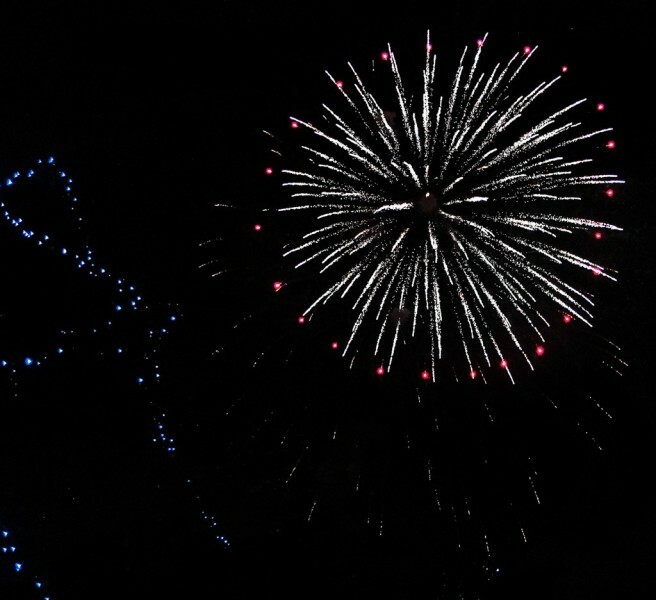 This is a quick message to wish all our readers a happy, prosperous and highly photographic year. Make this a great photography year – learn new techniques and skills. Every photog spends most of their photography time learning and developing. Photography is an art. Each shot is a creative opportunity to develop our artistic skills. And, we also need to develop our technical skills. On Photokonnexion we help you with both creative and technical skills. There are over 1000 pages of photographic wisdom here. Each article has ideas and techniques to help you develop your photography. Make good use of them. They can help you be a learning photographer – a better photographer. We love to post solutions to your problems. Email us from the Contact Us page. Let us know what could help you. 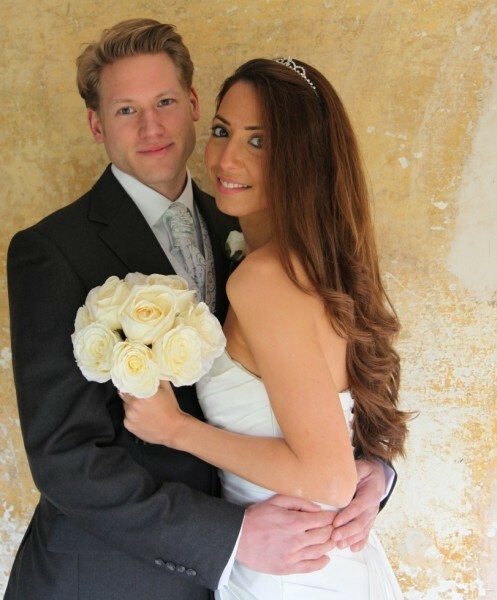 We will be happy to find ideas to move your photography forward. We want your Happy New Year 2015 to be a top photography year for you. So think about requesting articles too. We will be happy to write posts to help you develop. If you have a subject of interest to you and our readers, let us know. We will write something to help all our readers. Don’t forget we have an active Twitter account: @Photokonnexion. Every day we post twenty to thirty quick motivational tweets and great tips for photogs. We answer questions and provide help. With more than 16,000 followers we have an active community there. So feel free to join in the fun. Learn something too. Just click the button below. 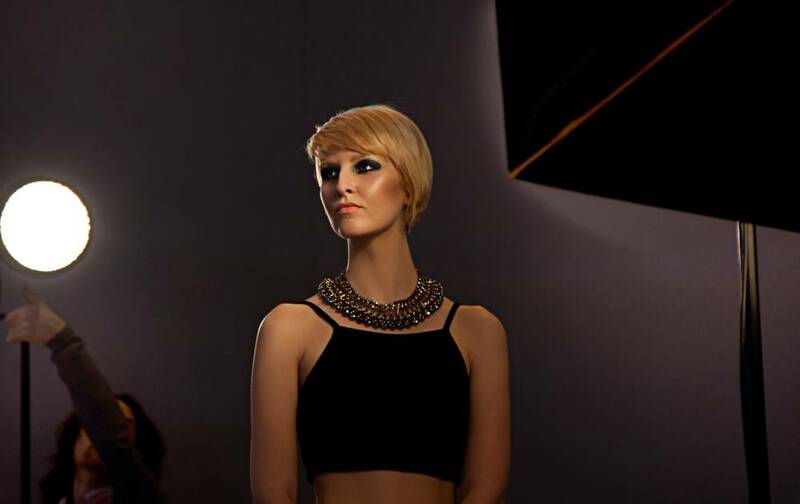 We hope Photokonnexion will make a difference to your photography this year. Have a happy new year 2015.